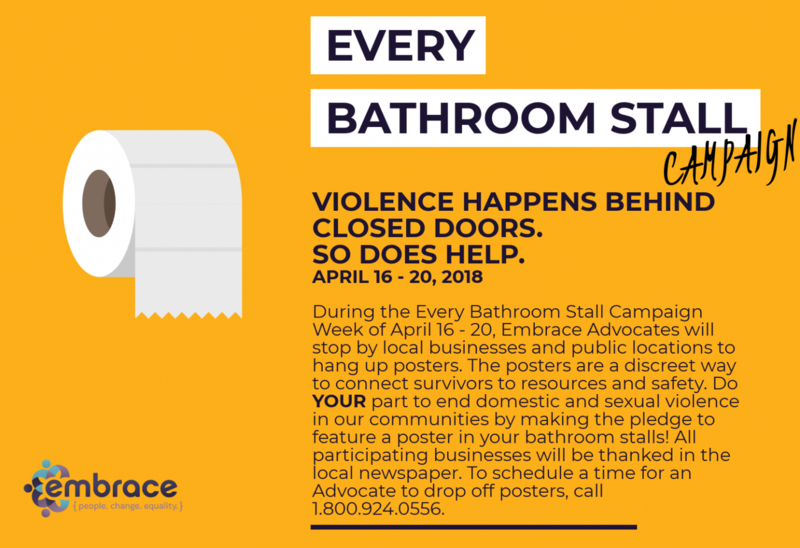 During the Every Bathroom Stall Campaign Week of April 16 - 20, Embrace Advocates will stop by local businesses and public locations to hang up posters. The posters are a discreet way to connect survivors to resources and safety. Do YOUR part to end domestic and sexual violence in our communities by making the pledge to feature a poster in your bathroom stalls! All participating businesses will be thanked in the local newspaper. To schedule a time for an Advocate to drop off posters, call 1.800.924.0556.